Ravensburger Fun At The Waterhole 35 Pieces Puzzle - Blue - 12.0 in. x 9.0 in. Join a few animal friends of the African Savannah for a drink at the local watering hole. 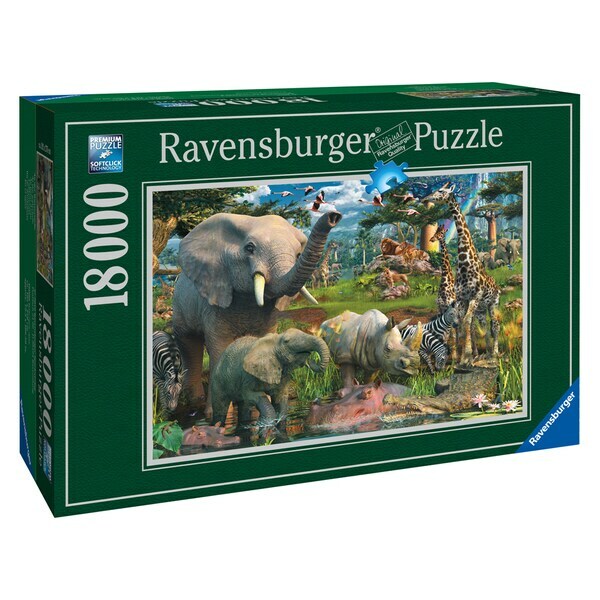 This giant 18,000- piece premium puzzle from Ravenburger features Ravengurger's own specially-engineered cardboard and a gorgeous glare-free picture.